That soil under your feet is not just dirt. It is teeming with life that may not change as fast as we would like when challenged by global warming. The warming climate has people wondering about the future. But soil scientists have found a way to look forward — by looking back. In a study published in the Proceedings of the National Academy of Sciences, a group of researchers took a look at regional soil microbes and how they historically react to environmental factors that change around them. Plants, like trees, take up carbon and cycle it down to the ground, reducing atmospheric carbon. When forest are cut down, wetlands drained and developed, or other natural spaces turned into shopping malls, these vital carbon sinks disappear. As they die and decompose, they add carbon to the air, contributing to the problem of global warming. Under the ground, soil microbes digest plant material and compounds, decomposing and storing carbon, while collaboratively working within their neighborhood, or "microbiome." This underground ecosystem stores three times the amount of carbon than is present in the atmosphere. Seeking to feed a hungry world, farmers who fail to tend the soil as carefully as they tend their crops deplete it and its cover, causing erosion, and increasing the release of carbon into the air. The use of fertilizers, and chemicals that kill pests (both critter and plant), and heavy tilling are devastating to the bacteria and fungi that live in the soil and roots, and which make healthy plant life possible. The enormous surface area of the Earth's oceans make them a giant carbon sink. As greenhouse gases increase, the oceans absorb more carbon. Scientists speculate that global warming will increase carbon in the water to a point where the seas can no longer absorb it as quickly, are negatively impacted by it, or both. Looking at soil microbes over time, scientists in this study uncovered how the past might influence how soil ecosystems store and release carbon as moisture levels and temperature grow unstable. As much as science worries about carbon released by burning fossil fuels, microbes in the soil release between 44 and 77 billion tons of carbon annually — more than all fossil fuels combined. 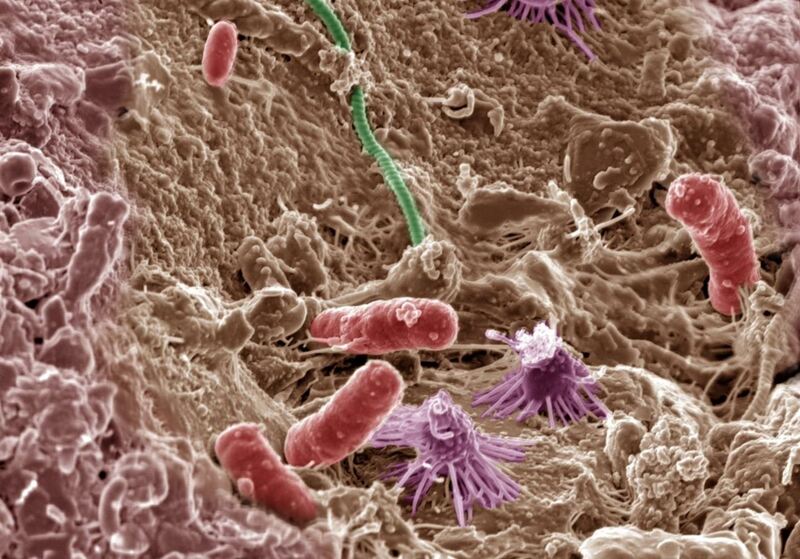 As part of the process of decomposing and storing carbon, microbes "respire." Soil respiration is the process by which soil microbes release carbon back into the air. Over vast amounts of time, plants have developed crucial relationships with their soil microbiome, just like we have with the beneficial bacteria and other organisms that live on, and in, our bodies. When we talk about microbes and respiration, we are talking about the amount of carbon dioxide (CO2) released back into the air when the microorganisms in the soil break down and decompose organic, carbon-containing matter. Soil respiration can be measured by humans in the field and analyzed in the laboratory. Along with releasing CO2 into the air through respiration, microbes store carbon underground and turn broken down organic matter into nutrients for plants, like phosphorus, sulfur, and nitrogen. Like the human gut microbiome, the soil microbiome is a combination of many microorganisms like bacteria, viruses, nematodes, fungi, mites, and more, working together to eat, live, and reproduce. The soil microbiome provides a host of ecological services, including supporting vegetation, filtering toxins out of the water, deterring or preventing disease, preventing erosion, and participating in climate control through the storage and release of CO2. Factors that influence how fast soils respire include moisture, soil nutrient levels, soil structure, oxygen, and temperature. As temperatures increase, soil respiration is expected to rise, boosting levels of atmospheric carbon, and warming the planet more. While global warming models assumed that all microbes are affected the same way by environmental change, the scientists performing this study suspected that was not the case. By conducting their study over a span of six years, researchers discovered that not all microbes respire equally. 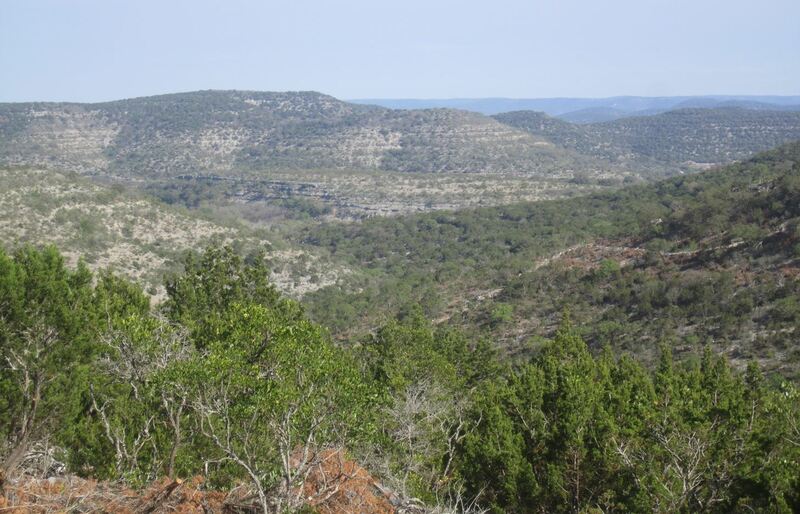 This study observed changes in respiration of soil microbes along Edwards Plateau, in Texas. They sampled 12 sites, and two field gardens between 2008 and 2013. Researchers collected samples evenly from different locations — from "savanna," or native grasslands, to woody environments — and provided varying levels of nutrient and water in laboratory and field settings. Savanna ecosystems make up about 28% of the soil on Earth and cover about 35% of its surface. They tested how the microbes in the samples responded to gradual changes in moisture, nutrients, and the enzyme processes that result. The historical quantity of moisture, or rainfall, in a region largely dictates how microbes will respond to changes in rainfall. Microbes that reside in wetter regions respire twice as much carbon as microbes in drier areas. These moisture-loving microbes are more sensitive to changes, and less likely to roll with temperature change as it occurs. The study discusses previous research that found that soil microbes were highly resistant to long-term climate changes. Study authors here also found high resistance to change. "Local specialization and resistance" of microbial populations is a wild-card to modeling microbial responses to fluctuating temperatures and moisture. In a press release, the authors note: "We discovered ... that soil microbes and their functions are highly resistant to change. Resistance to environmental change matters because it means that previous local conditions will constrain how ecosystems function when faced with a shift in climate." Instead of a general predictable response of microbial life to changes in environmental factors, this study shows that region of origin is important when trying to model how much carbon is being stored, or released, across geographic regions. The health of the soil microbiome depends on the ability of its inhabitants to adapt to prevailing conditions. Current models assume that soil microbes at any site around the world exhibit the same responses to environmental change and do so instantaneously, but we demonstrated that historical rainfall shapes the soil respiration response. The overall ability to predict carbon sequestering, and carbon release, has a profound impact on climate science and our ability to understand how our world will be affected by release of carbon previously held in the soil, and other carbon sinks. In the bigger picture, the climate may change, but soil microbes may not. We don't know how this will impact soil health, carbon storage and release, or our ability to grow food for more people out of the progressively less productive soil. Stay tuned.